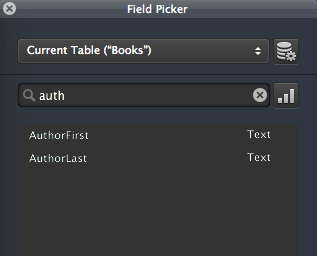 FileMaker users and developers should note the addition of calculated Custom Dialog buttons and Tab Panel names as one of the new features of FileMaker 13. 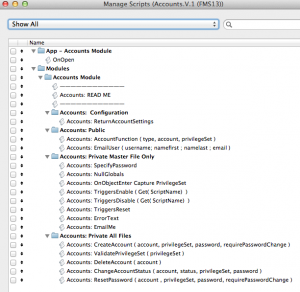 While these are relatively small changes, we are pleased to see FileMaker continuing to expand the incorporation of the calc dialog throughout the FileMaker development environment. 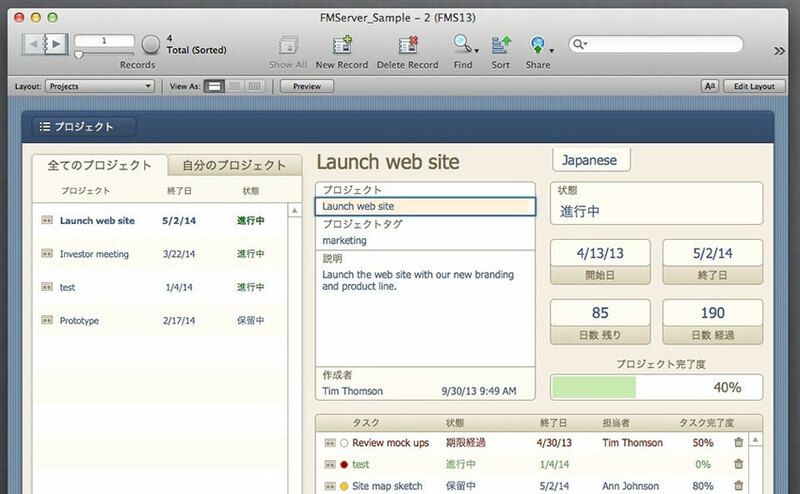 Here is example as implemented in the FileMaker Server 13 sample file that comes installed with FileMaker Server. 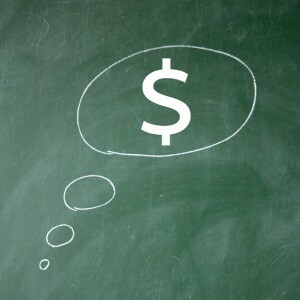 This is great news for helping developers create language-localized solutions. 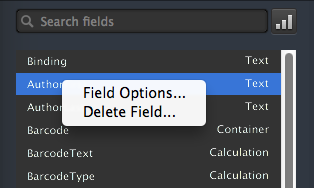 In particular, calculated tab panel labels no longer need to be overlaid on the panel, reducing layout maintenance. 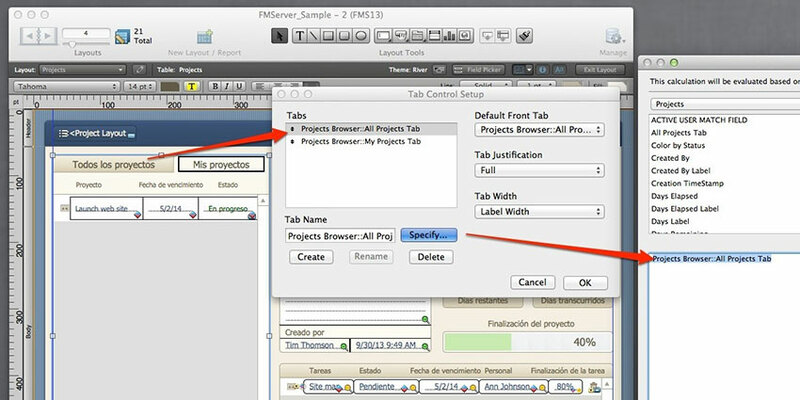 In this case, tab panel names are now calculated, the values drawn from a table of translated labels in multiple languages. The sample file checks the application language on start-up and sets a global field that drives the connection to all of the tab panel, field and button labels. 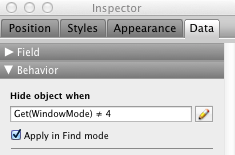 One final note regarding the buttons on the Custom Dialog: They are still limited in size and will not display text beyond 11 or so characters. 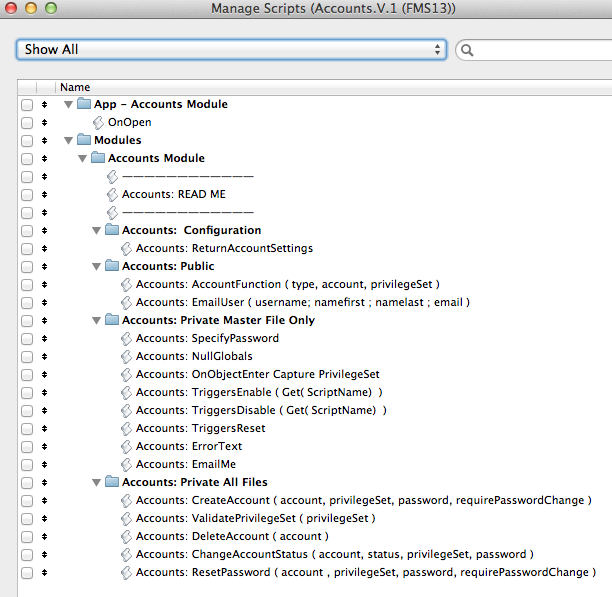 A few months ago I wrote a series of articles (Part 1, Part 2, and Part 3) about barcode scanning in FileMaker Go 12. 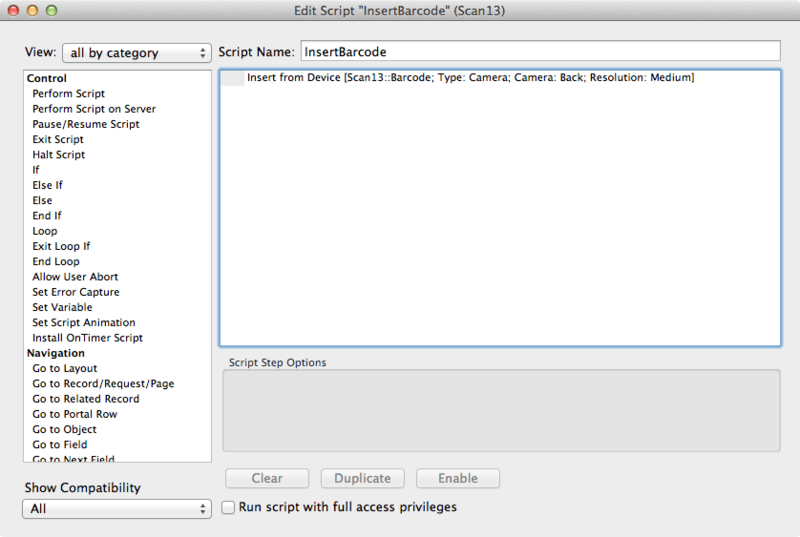 With the release of FileMaker 13, barcode scanning is now a native feature. 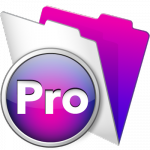 There is no longer any need for the FileMaker Pro URL protocol and extra iOS applications. 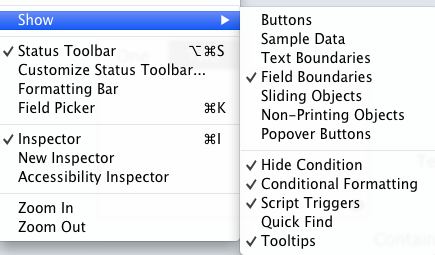 In FileMaker 13, there is a new “Insert from Device” script step. 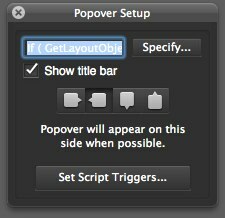 The action is simple. Select the target field, a container, and from which device you want to insert (music library, photo library, camera, video camera, microphone, and signature). 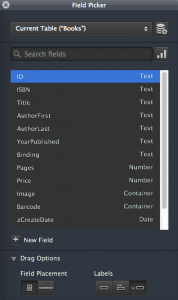 Once you insert the barcode, you can get information about the barcode using the GetAsText( ) and GetContainerAttribute( ) functions. 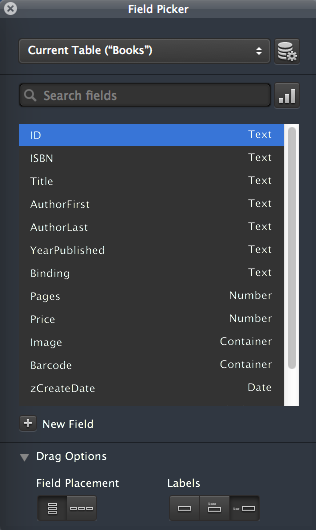 The former gets only the contents; the latter gets the contents and type of barcode. 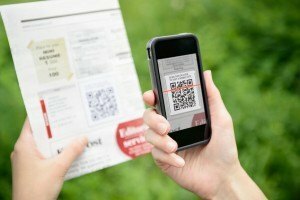 There are currently 16 supported barcode types including QR Codes. 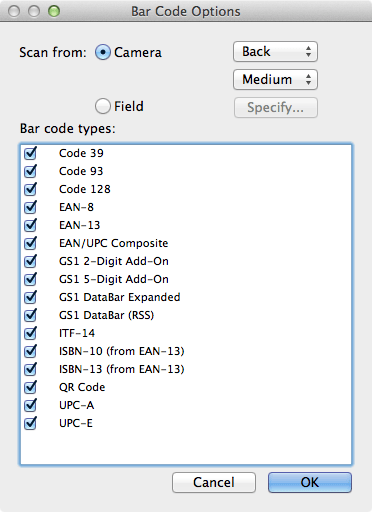 With barcode scanning now natively supported in FileMaker 13, there are more reasons to use FileMaker Go for inventory tracking and management.